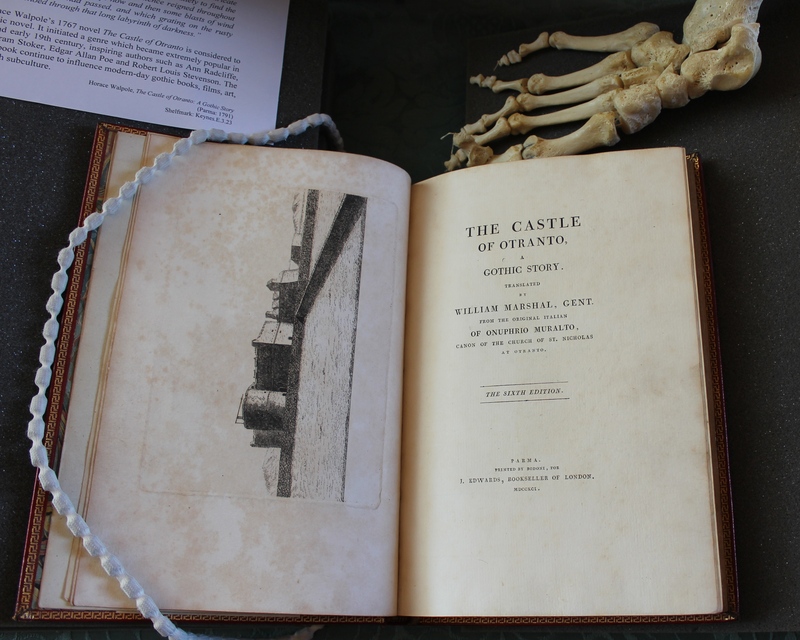 Peter Bicknell (1907-1995), an architect, mountaineer and art historian who taught architecture at Cambridge for more than fifty years, was also a book collector with a particular interest in eighteenth-century topographical books and prints. 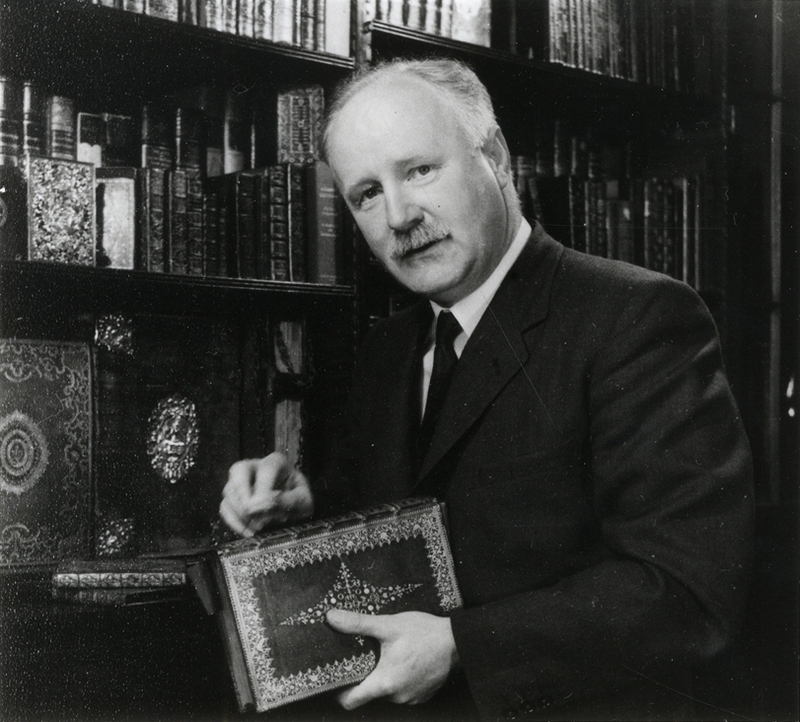 In 1980 he donated his collection of books on the Lake District to King’s College Library. 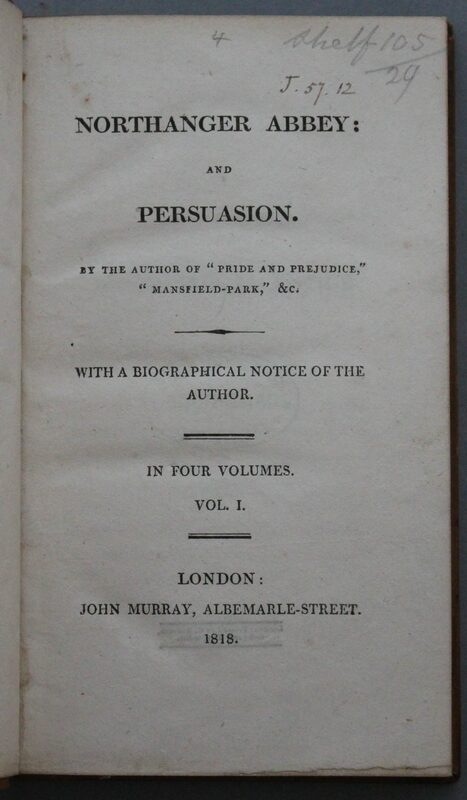 As Bicknell later recalled in his introduction to The Picturesque Scenery of the Lake District, “My addiction to book-collecting was stimulated by the friendship of that inspired lover of books, A. N. L. (‘Tim’) Munby. When some years ago I decided that it was time I found a permanent home for my Lake District collection, it occurred to me that there could be no better place for it than the library of King’s” (Winchester: St. Paul Bibliographies, 1990, p. x). 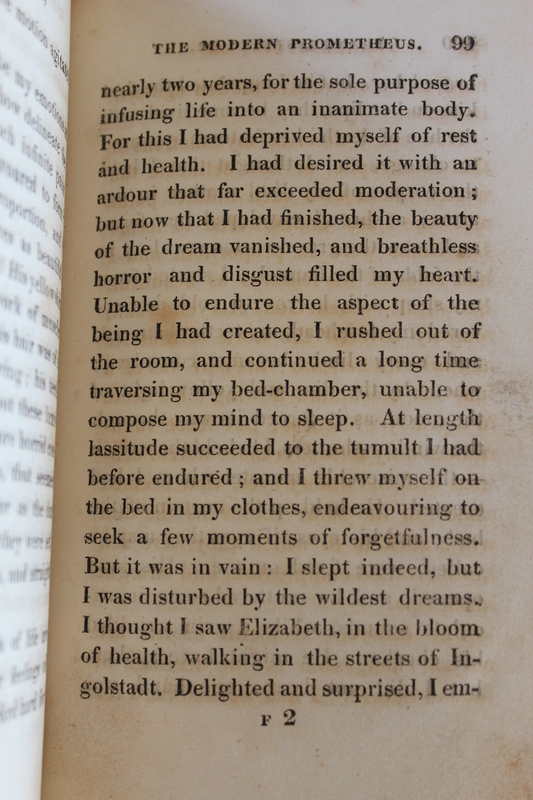 We have just started cataloguing the collection and mounted an exhibition in the library, some highlights from which are described below. Peter Holland was a Liverpool artist about whom little is known. 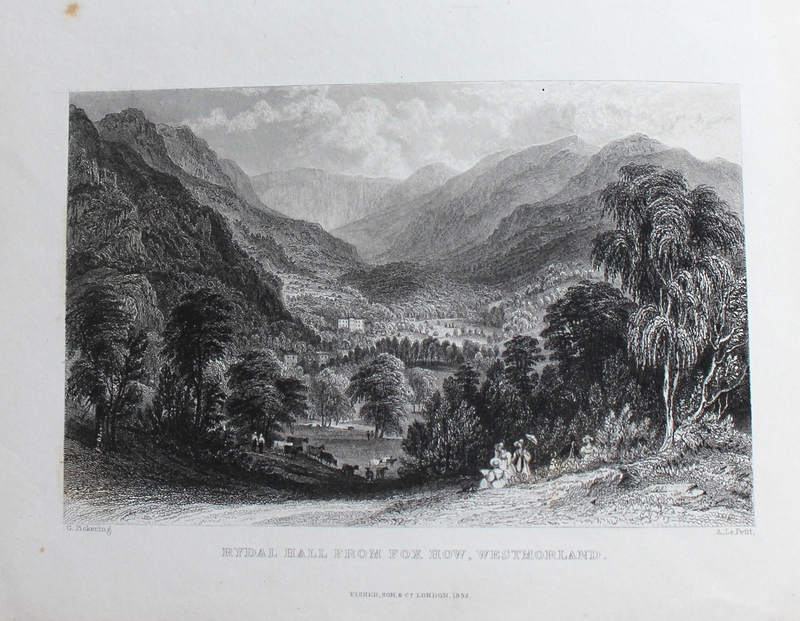 He visited Ambleside in 1797. 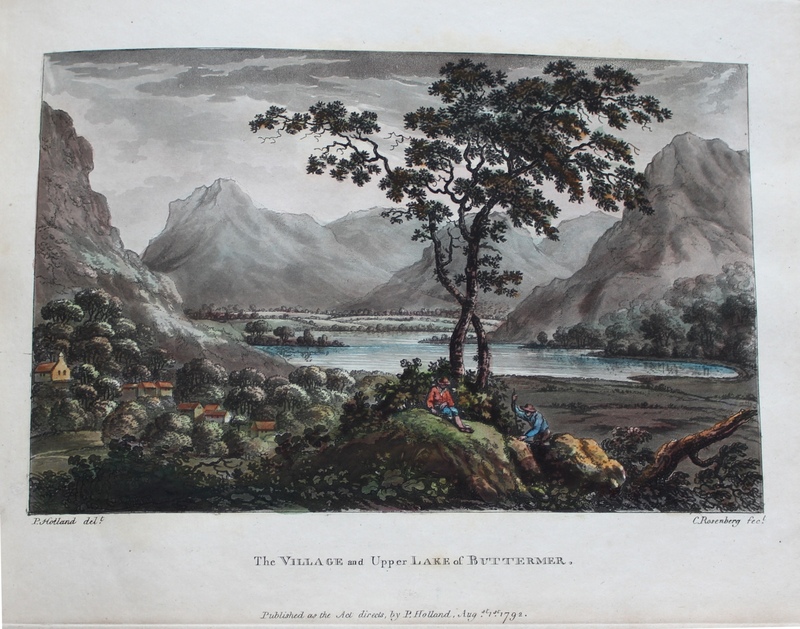 His Select Views of the Lakes is the first book of Lake District views using the printing technique known as aquatint. 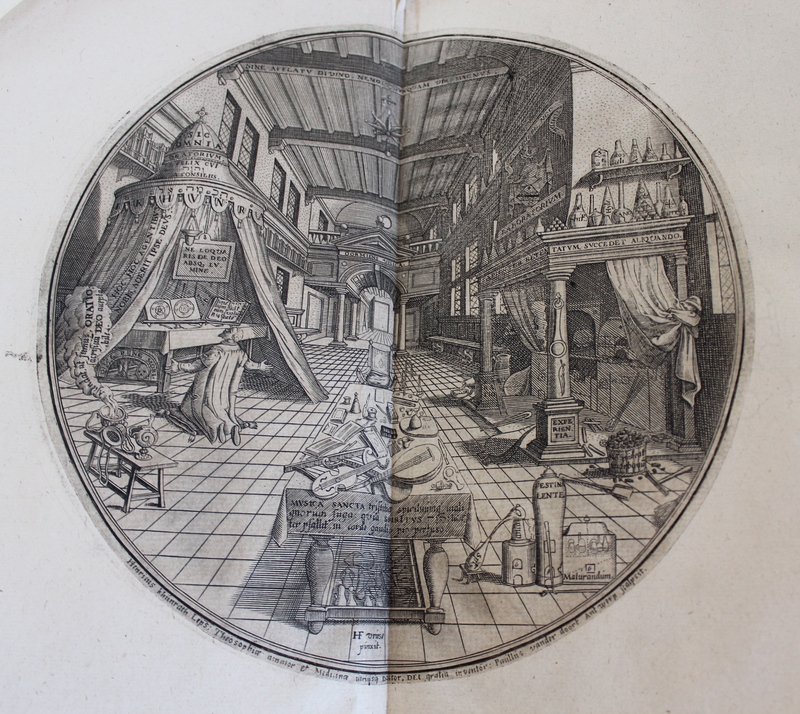 In this method of printing the artist makes marks on the plate (in the case of aquatint, a copper or zinc plate) that are capable of holding ink. The inked plate is passed through a printing press together with a sheet of paper, resulting in a transfer of the ink to the paper. 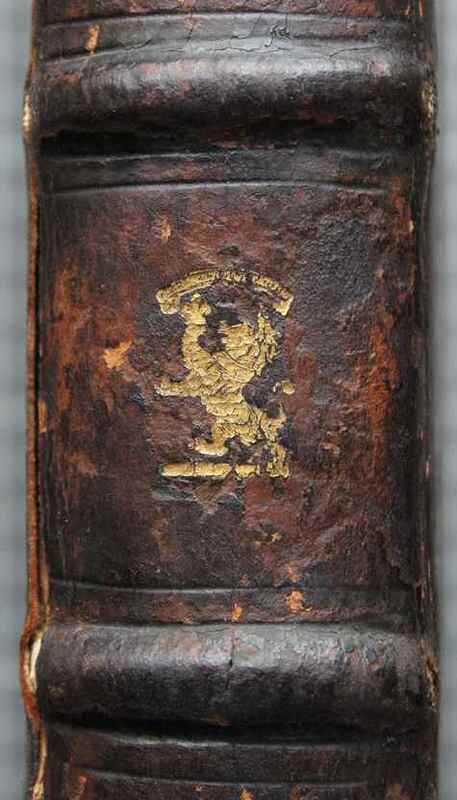 This copy of Revd Stebbing Shaw’s A Tour in 1787 from London to the Western Highlands of Scotland bears the ownership inscription “Elizabeth Vernon: Given to her by the Marquis of Lansdown 1792”. 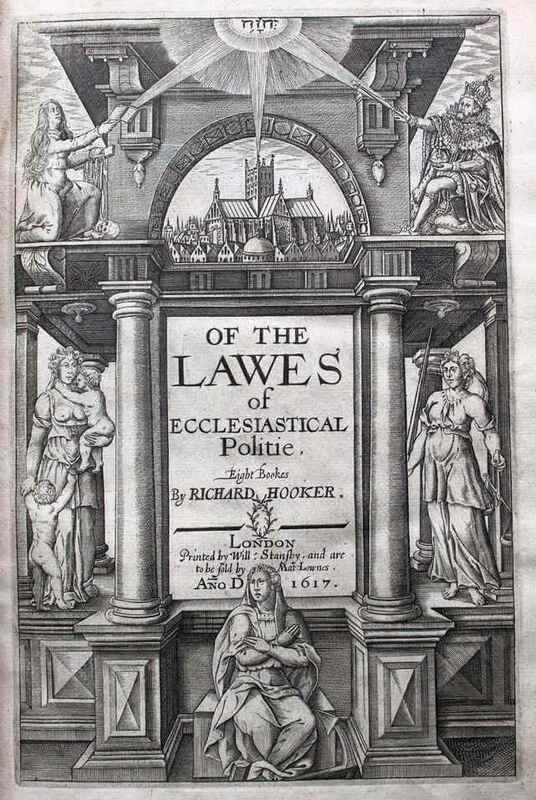 It ended up in the library of Holland House in Kensington and has their bookplate on the inside front pastedown. The book shows signs of fire damage from when Holland House was bombed during the Blitz in 1940. 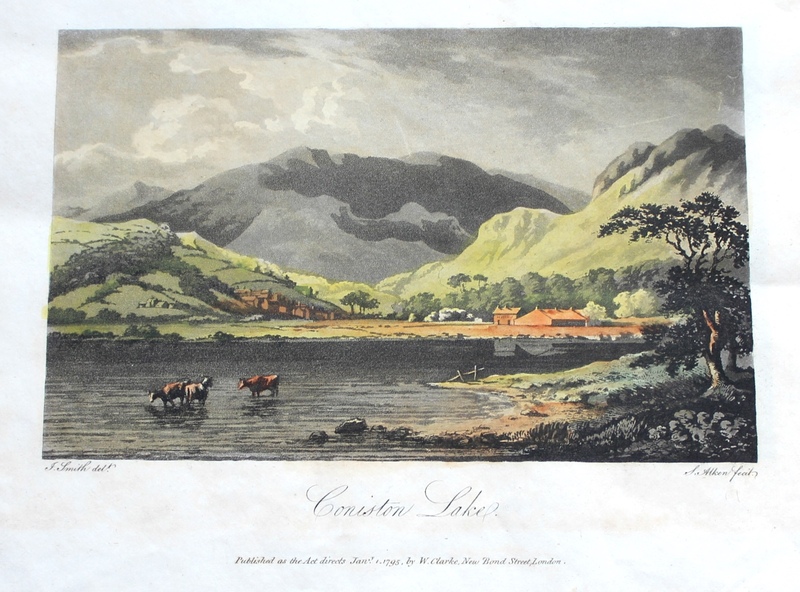 Peter Crosthwaite was an expert in self-advertisement, referring to himself in this plate as “Admiral at Keswick Regatta; who keeps the Museum at Keswick, is Guide, Pilot, Geographer, Hydrographer to the Nobility and Gentry, who makes the Tour of the Lakes”. 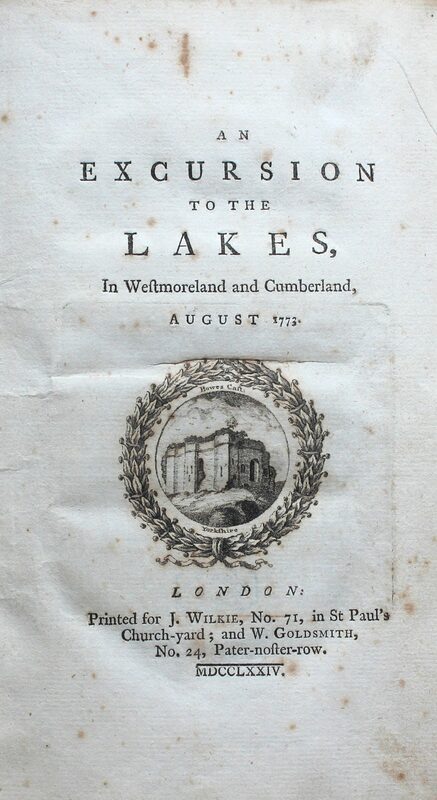 The next item in the exhibition, William Hutchinson’s An Excursion to the Lakes in Westmoreland and Cumberland, is one of the earliest books in the Bicknell Collection. The excursion was made with William Hutchinson’s brother Richard who acted as draughtsman. 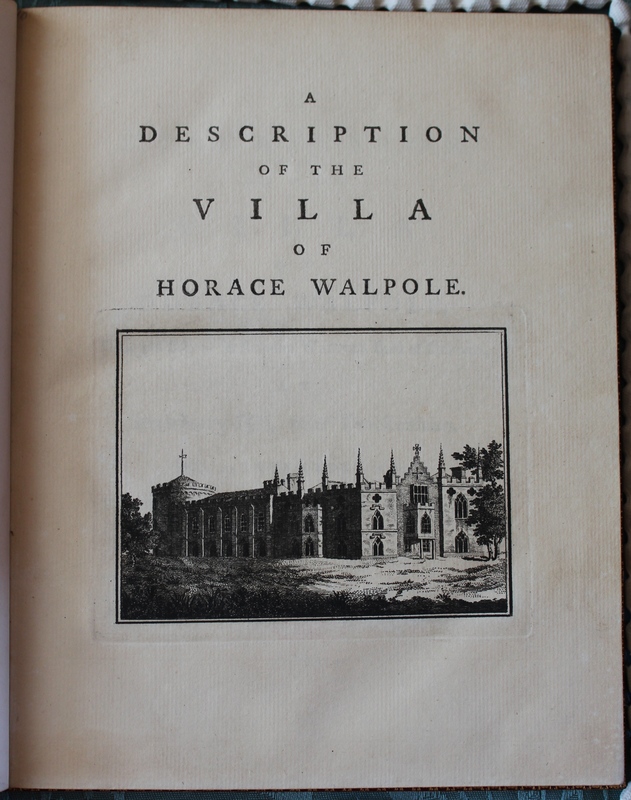 The book includes a generous amount of rich picturesque description and lively accounts of unusual incidents. 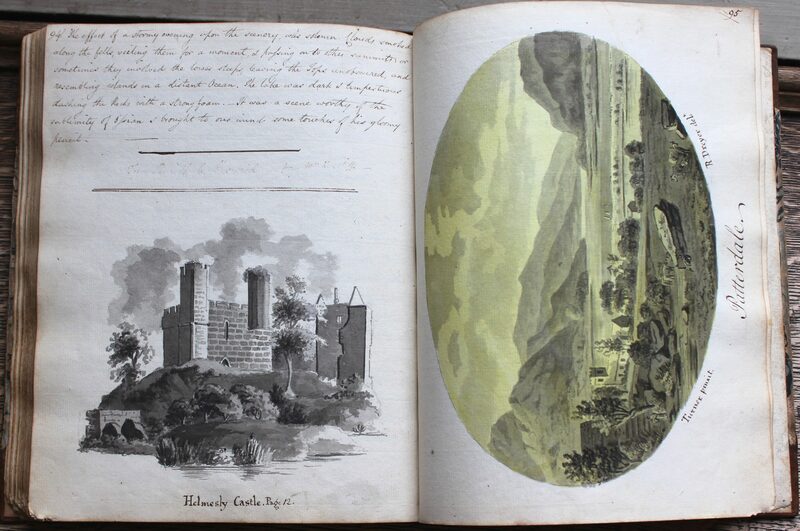 This manuscript journal is illustrated with wash drawings in imitation of William Gilpin’s Observations (London, 1786). 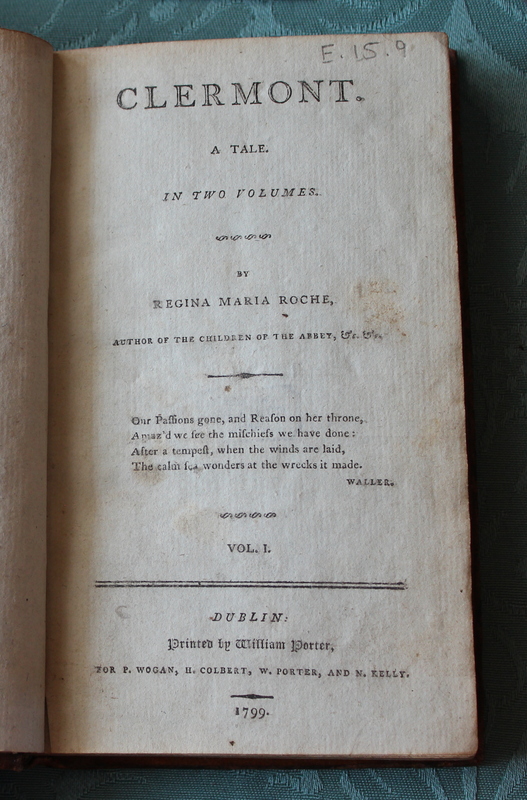 The tour was taken in the autumn of 1792 by Mr and Mrs R. Rede and Mr Dreyer. The book is compiled from notes taken on the spot by Mr Rede. 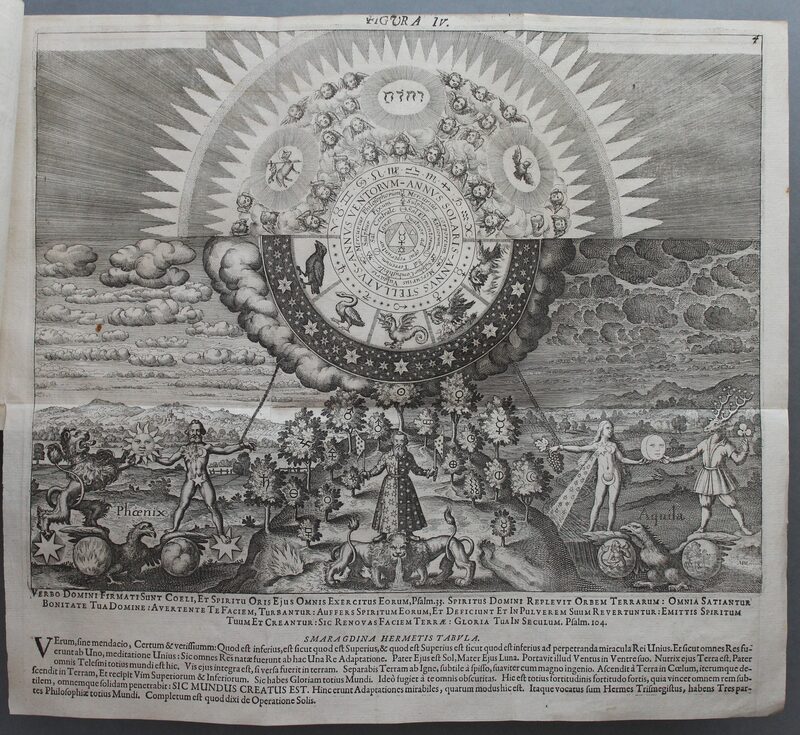 Thomas Rose’s three-volume work Westmorland, Cumberland, Durham, & Northumberland includes 213 steel engravings from drawings by Allom, Gastineau and Pickering by various engravers. Prints from these fine and durable steel plates were produced in large numbers for many years. 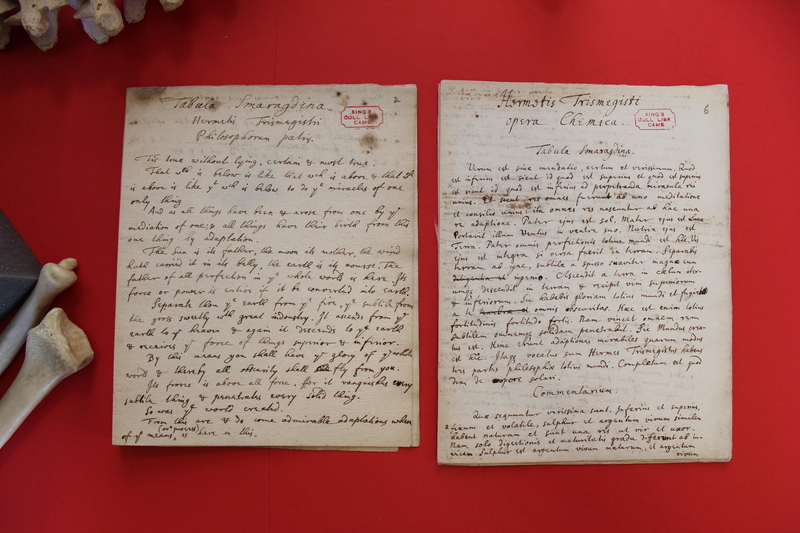 They were used in various books and for a variety of purposes such as headings for letter paper and for table maps. 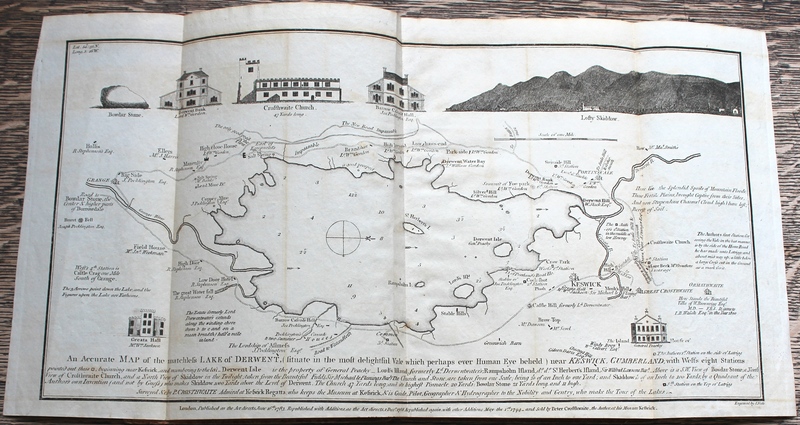 Finally, these sixteen views were issued without text or title to be bound with Thomas West’s Guide to the Lakes (1778). 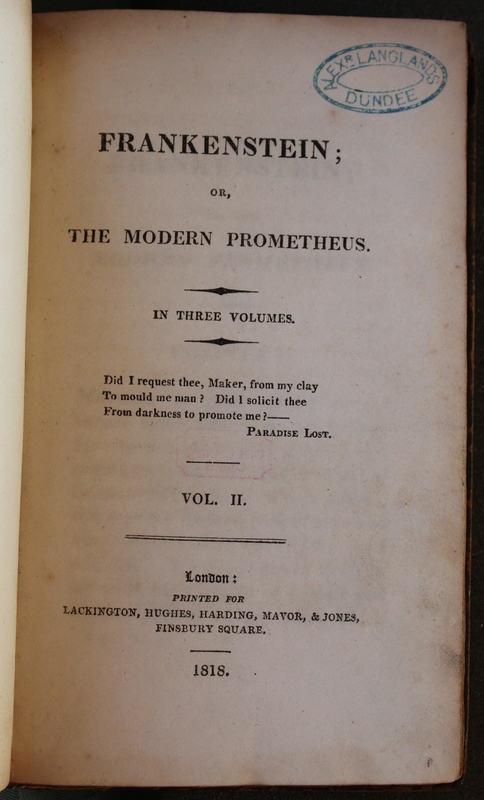 The views were advertised in the later editions of West’s Guide, and in that sense belong closely to the aesthetic promoted by West’s editors. The artists often intervene in the topography to improve the view. 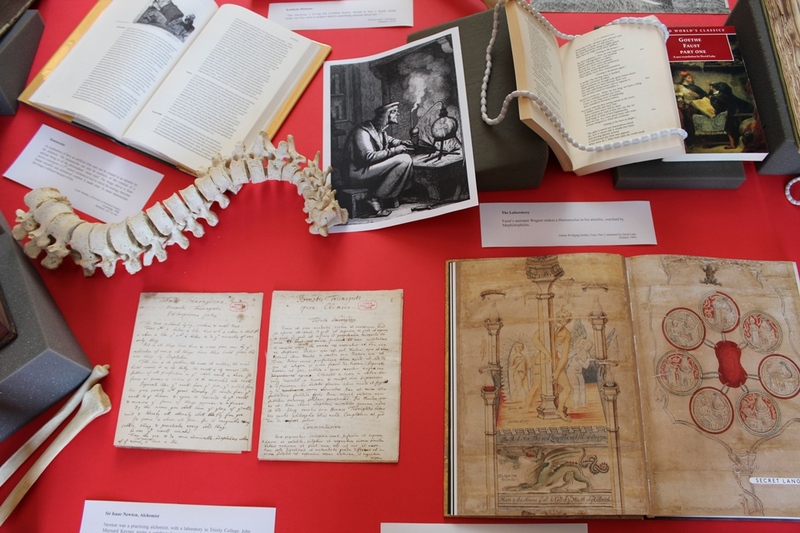 In June 2013 King’s College held a conference to mark the centenary of the birth of A.N.L. 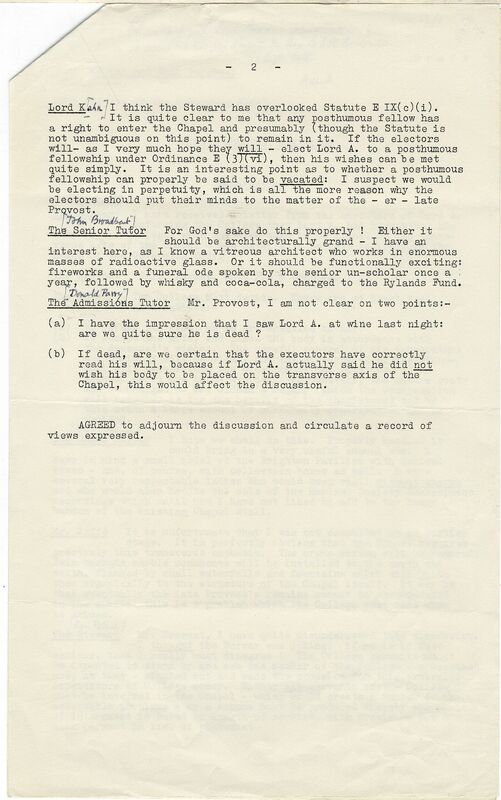 (Tim) Munby, Librarian at King’s from 1947 to 1974. 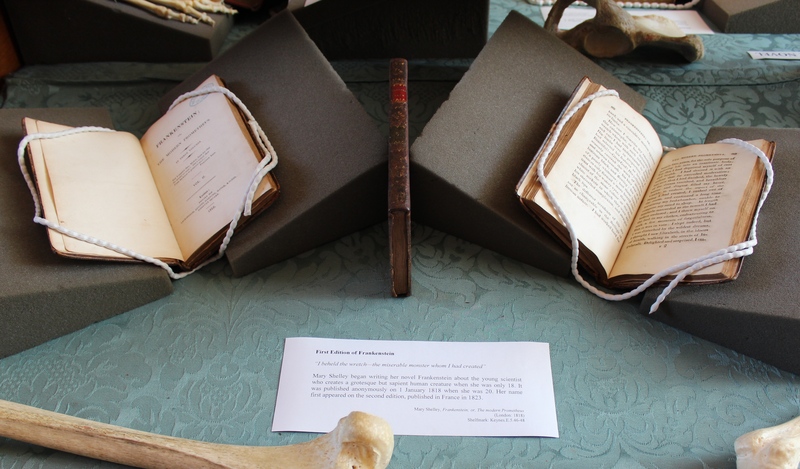 The conference was a great success, with a distinguished panel of speakers from the world of bibliography and the history of books, and over 120 registered participants. 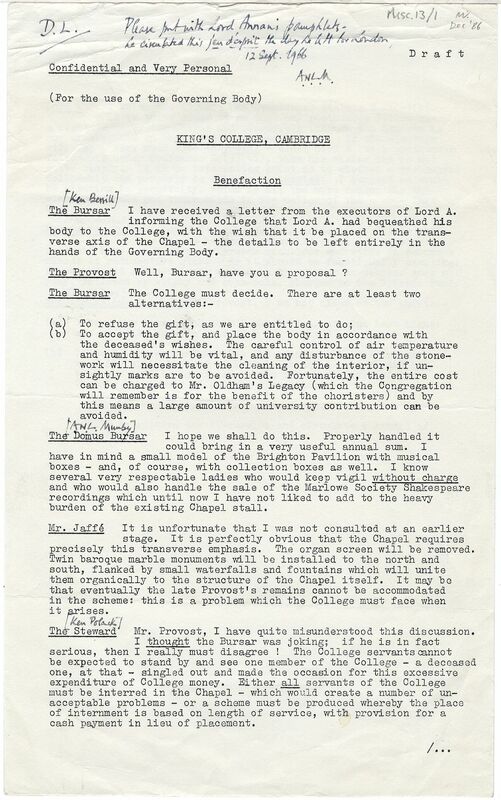 As a follow-up to the conference, and as a permanent tribute to Tim Munby, King’s College inaugurated a fund in his name—The Munby Centenary Fund. Donations to the fund support projects initiated by Munby, or related closely to his interests and achievements. 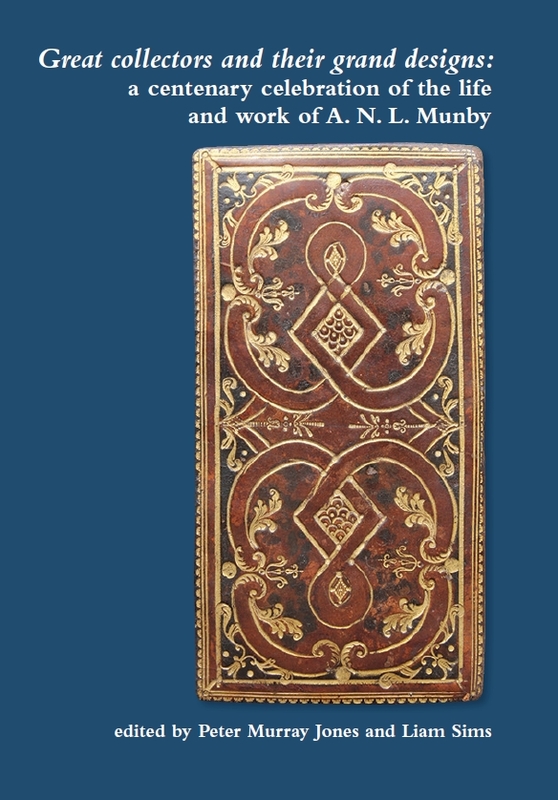 The gold tooling on the book’s spine. 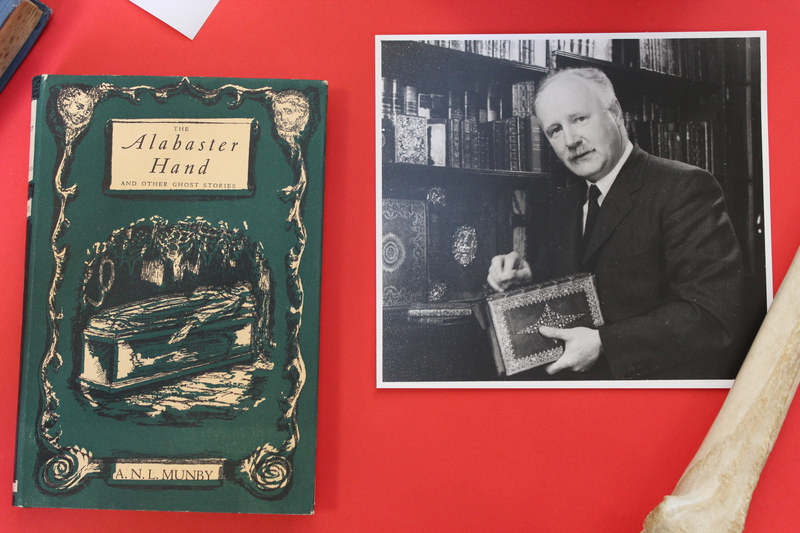 The initial objective is to complete the online cataloguing of all of the books in the collection of John Maynard Keynes and generous donations have already made it possible to hire Dr Iman Javadi as ‘Munby Project Cataloguer (Rare Books)’ to begin this work. Iman joined the library team in November 2014, and has so far catalogued over 200 books. 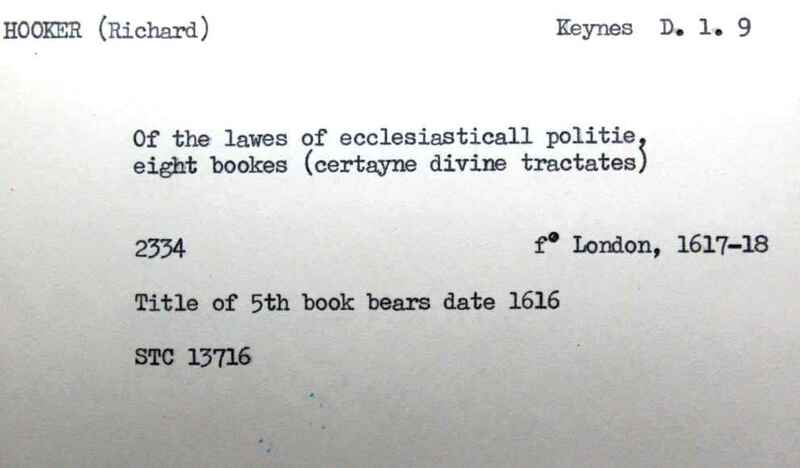 Tim Munby began his career at King’s as the first cataloguer of Keynes’s collection, although cataloguing in those days was very different. 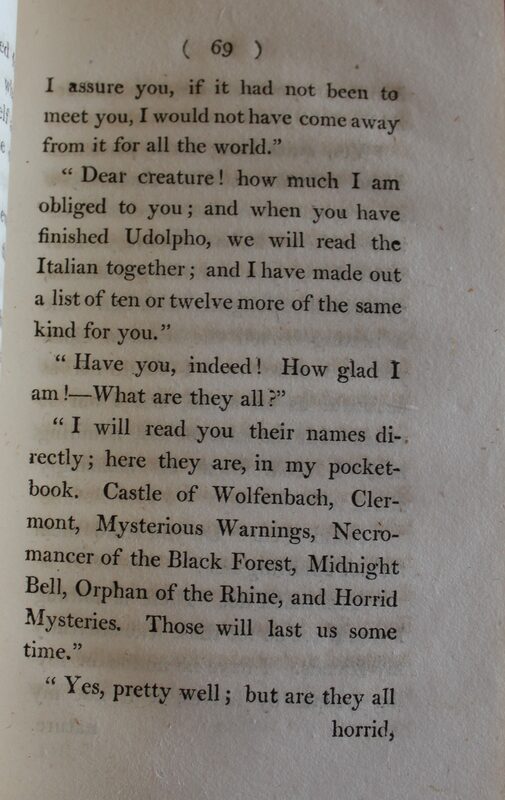 Catalogue cards often included little more than author, title and imprint details. Tim Munby’s original catalogue card. 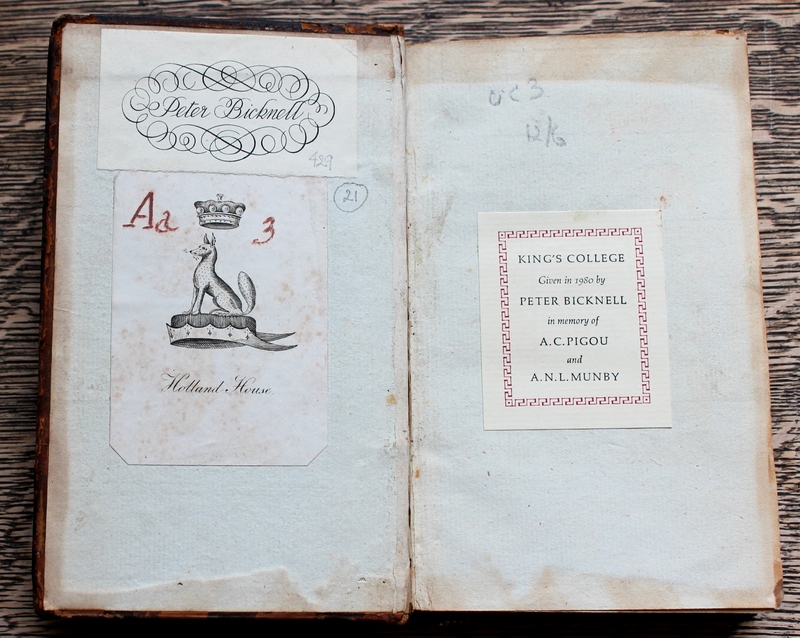 Inside front pastedown showing Keynes’s bookplate. 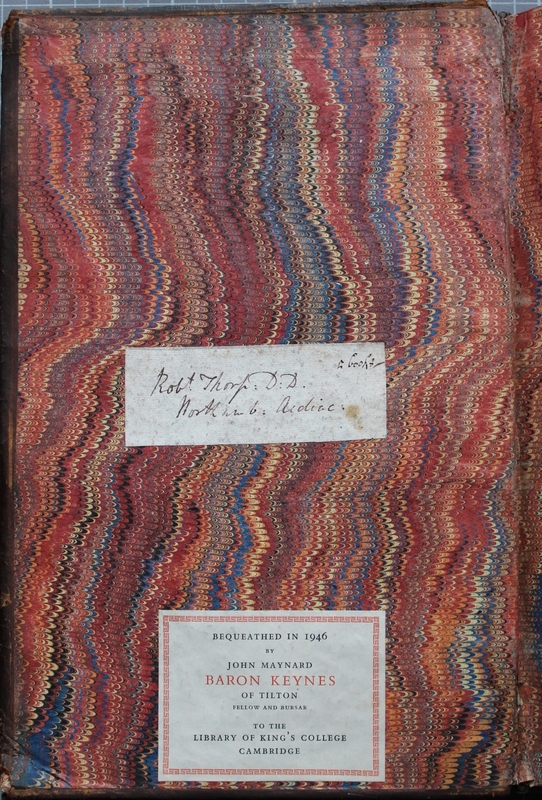 These days catalogue records for rare books typically include a wealth of copy-specific information such as binding descriptions, provenance information and information relating to former owners and detailed physical descriptions of the book as an object. 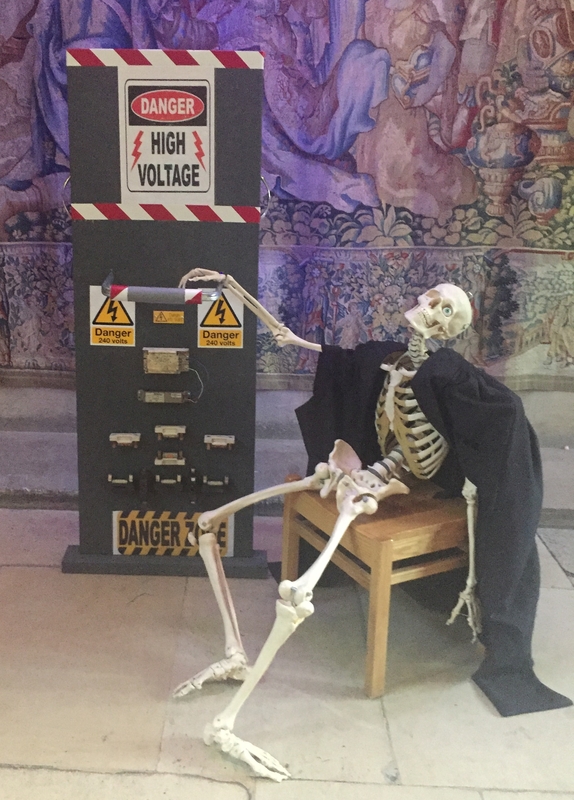 This change not only reflects changes in research interests in bibliography, but also assists librarians in collection management, and the availability of these descriptions online improves access to the collections. Further updates about the project will be posted on this blog.